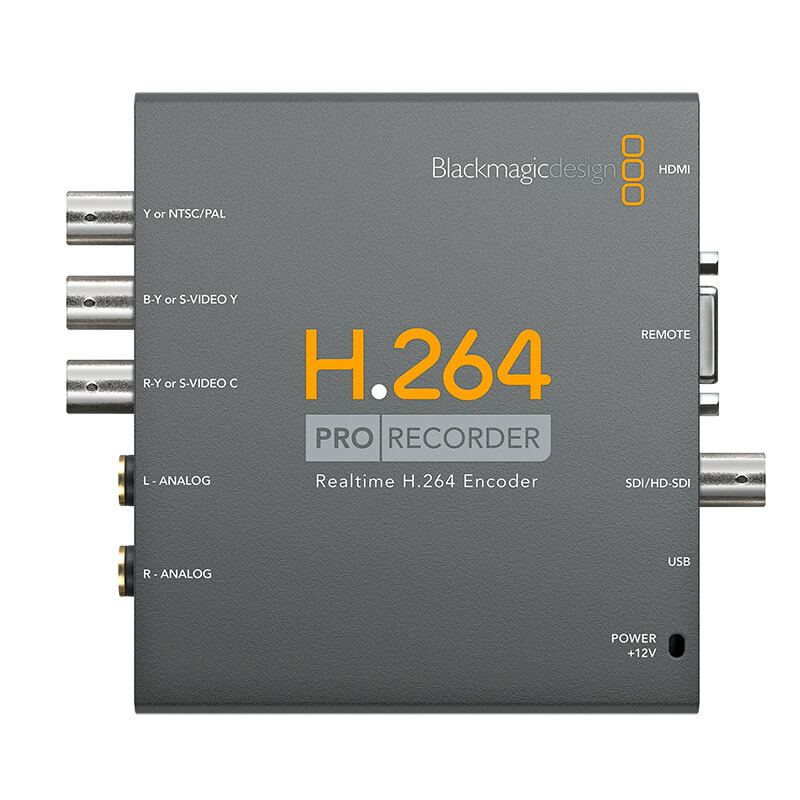 H.264 Pro Recorder is for the industry professional who needs professional encoding from SDI, HDMI, analogue component/composite and balanced audio! 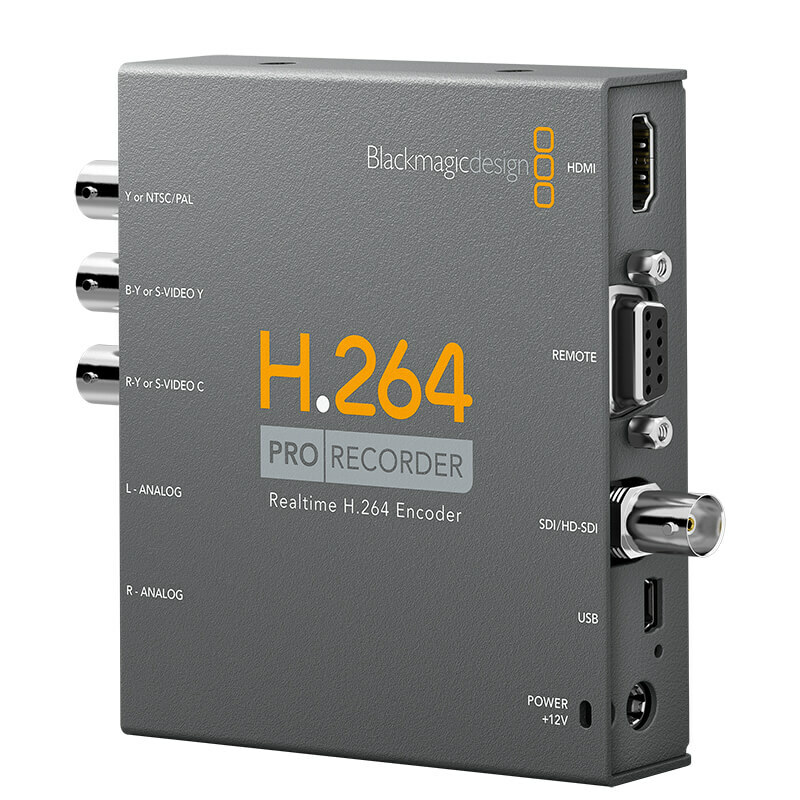 H.264 Pro Recorder includes Blackmagic Design's powerful Media Express for frame accurate deck control with EDL import. H.264 Pro Recorder allows you to select between SDI, HDMI and analogue component video inputs with selection between inputs. You can select to take audio from the SDI, HDMI or stereo balanced analogue audio input jacks. 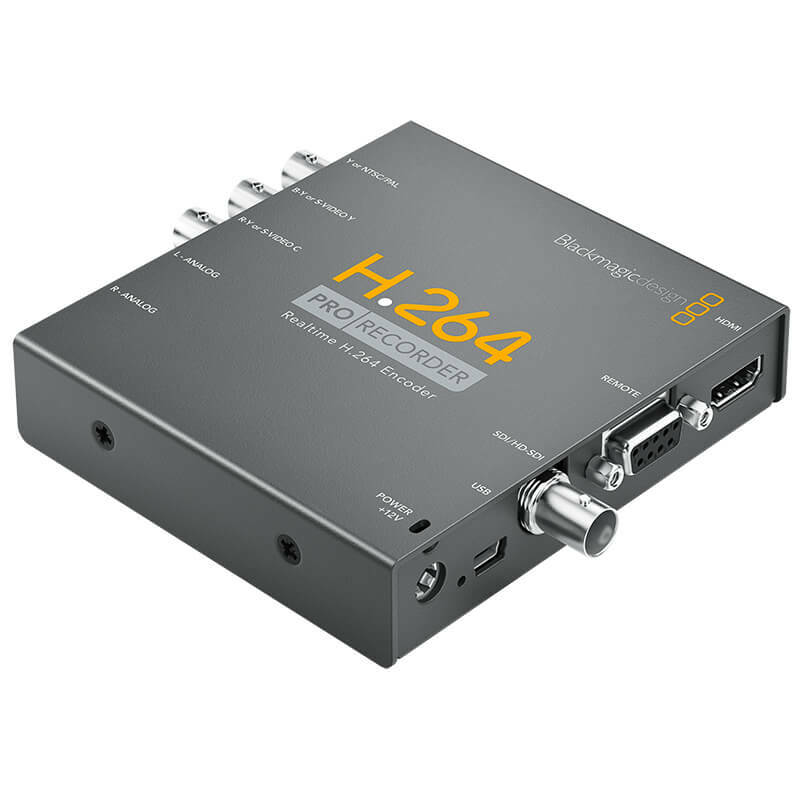 H.264 can be connected directly to HD or SD video sources because the SDI, HDMI and analogue component inputs all switch between formats. This means you can capture from HDCAM, Digital Betacam, Betacam SP, DVD players and more. The perfect low cost way to capture from professional broadcast decks directly to SD and HD H.264 files! With new ways of delivering content to consumers, now it's easy to capture old or new programming content into the same file format used on the web, iPad™, iPod™, iPhone™, Apple TV™, YouTube™ and more! Capture directly from SDI, HDMI and component analogue video with embedded SDI, HDMI and balanced analogue audio inputs. RS-422 deck control is included with software for Mac, Windows and Linux. Old videotapes are delicate and have a limited life. With old videotapes deteriorating and decks that can play them getting rare, encoding video is the only way to preserve valuable footage! Use H.264 to archive old programming, news footage and other materials that might be on old videotape formats, before the tapes deteriorate and the content is lost forever. With H.264 Pro Recorder, all captured files are digital, and in the popular H.264 file format, so your content will never deteriorate and will be preserved forever. 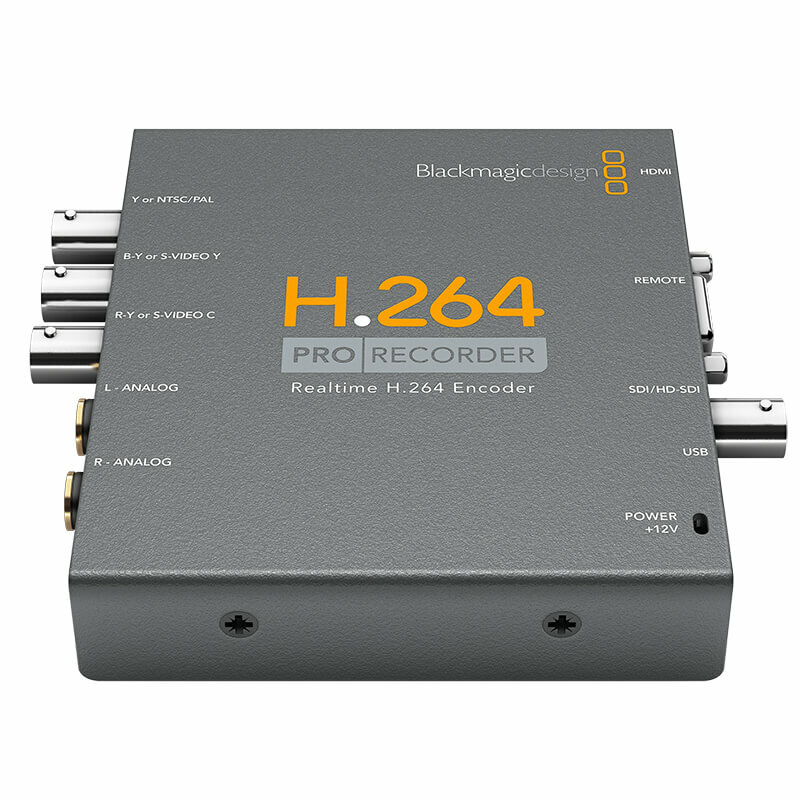 Blackmagic Media Express is included free with H.264 Pro Recorder. Media Express lets you batch capture your H.264 files with an attractive user interface that's a pleasure to use, even after hours of encoding work! You can even create your own playlist from captured files. Media Express also supports CMX EDL import and frame accurate deck control via RS-422, so you can fully automate batch capture of multiple H.264 files! Media Express is fast, accurate and easy to use and works on Mac OS X, Windows and Linux.